If you wonder or worry about the current status of your critical sites or equipment, we have a solution. We offer a wireless, web-based monitoring system that instantly notifies you of alarms and events by text message and or email. Our focus is on critical functions that would prevent equipment from operating, and once operating, functions that may cause the equipment to fail. Our password protected web portal, the true power of the system, allows you to view the current status of your sites and equipment from anywhere. Although we can monitor anything, please check out the most popular applications for our products under the menu to the left. Thanks for your interest in our products and service. Contact us with any questions. 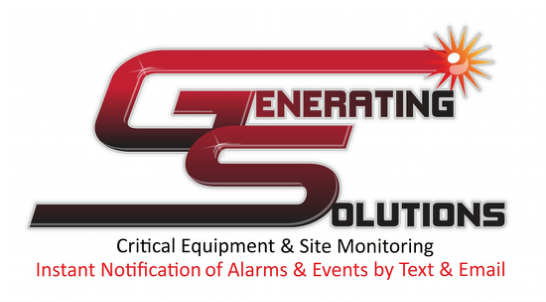 We offer a wireless, web-based Generator System Monitoring and Comm Site Monitoring Solutions that instantly notifies you of alarms and events by text message and or email. Any web browser can access the interface portal. This means no dedicated software to buy and install. Portal upgrades are continually being delivered over the air. Also works on iOS and Android phones and tablets! VPN Connection allows for fast delivery of alarms, events, data logging and daily system emails. Many features have been implemented through our interaction with our customers and with their suggestions. From the East to West coast, we have dealers ready and willing to support you with your monitoring projects. As simple to use as email! No Dedicated Computers or Software Required - EVER! All web-based, so you don’t have to buy software every year for updates. Updates come from the site. Just log-in and begin using your new features! Keep a full maintenance record for your critical equipment including PMs, part numbers, dates, hours and general maintenance notes. All stored for you on the portal. Export Digital and Analog Inputs to Excel, HTML, Notepad and various other formats. Access Generator Run Times, Pump Run Times, Water Flows and Pressures, etc. View your sites from any web-browsing device, any time of day! It’s like having eyes on your critical equipment 24/7! Devices check in every 15 minutes with the server if no alarms are present in-between check-ins.